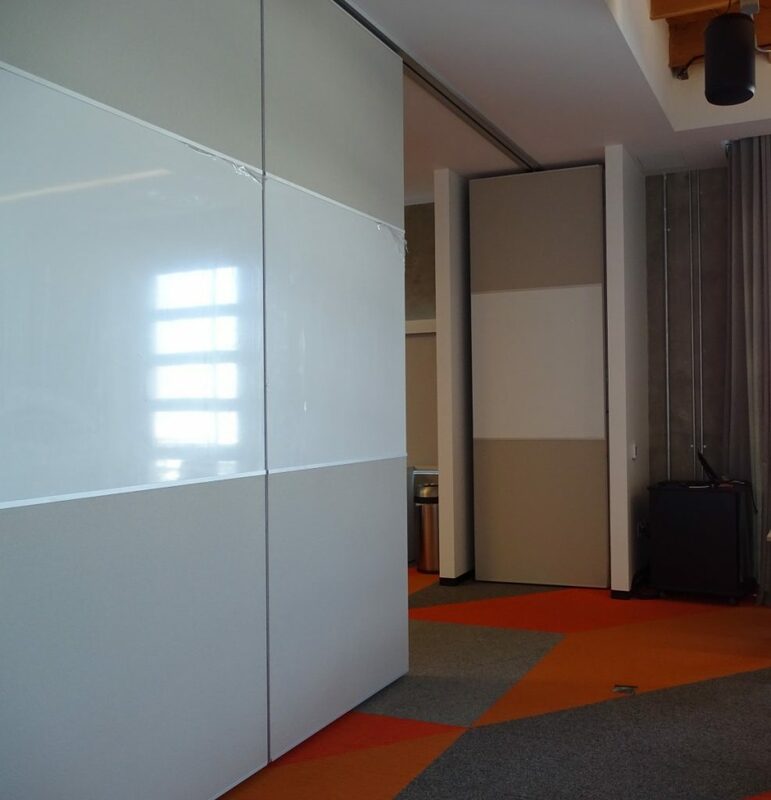 When you have great choices making a decision is difficult, it’s great when your project can have both! 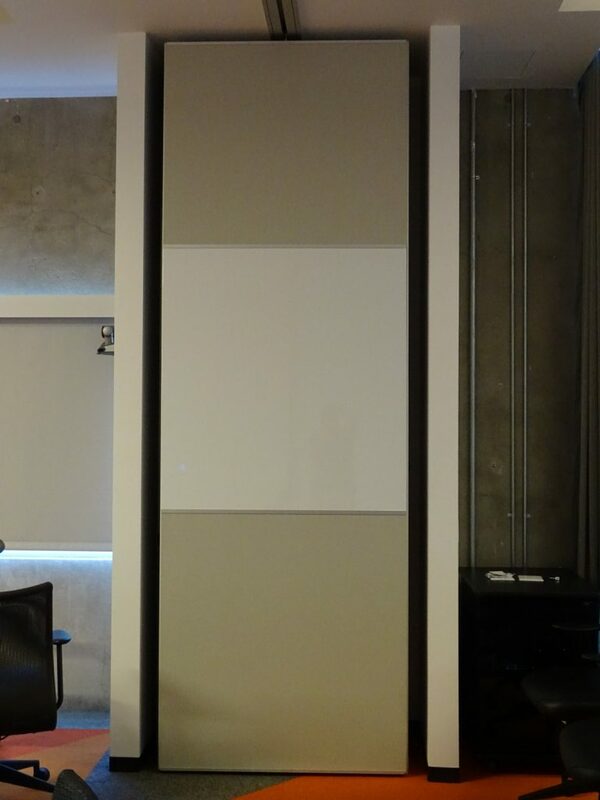 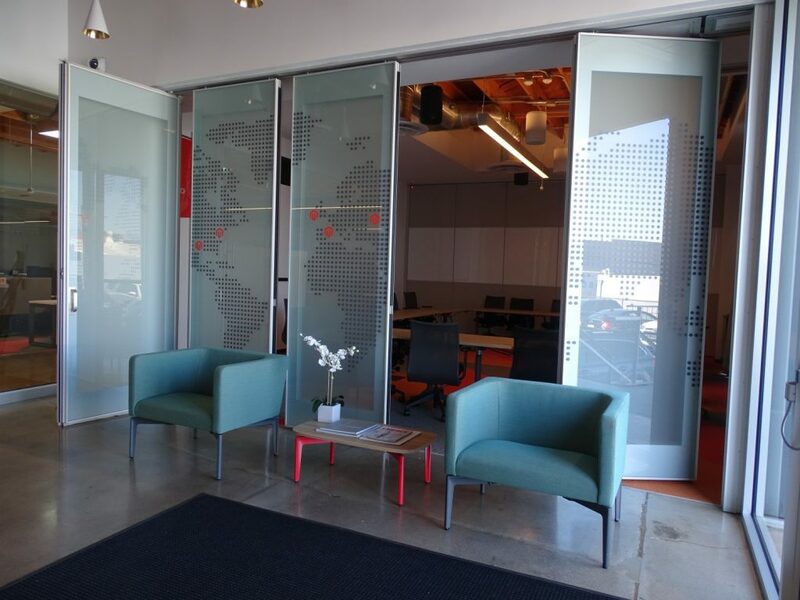 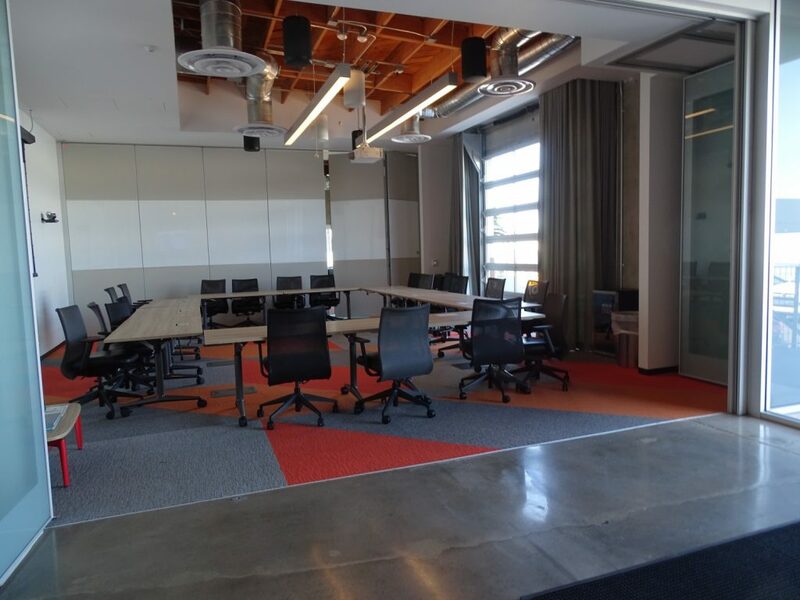 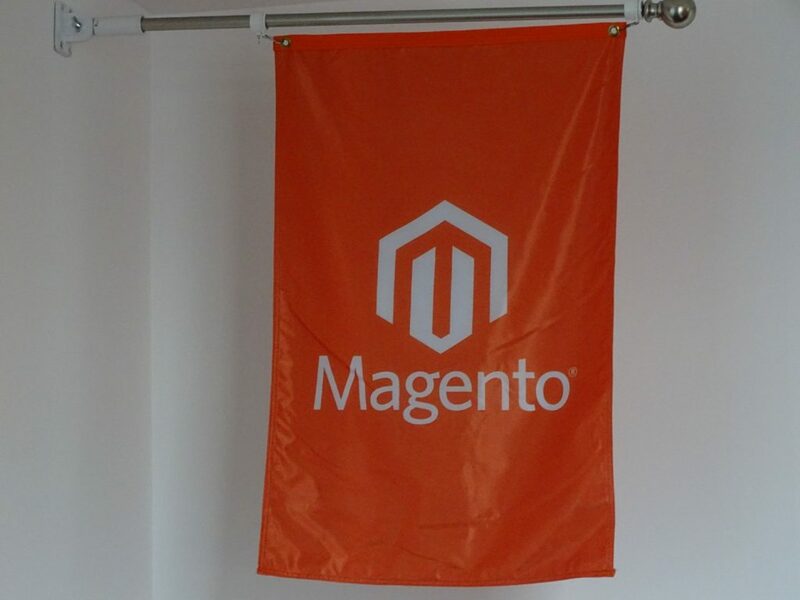 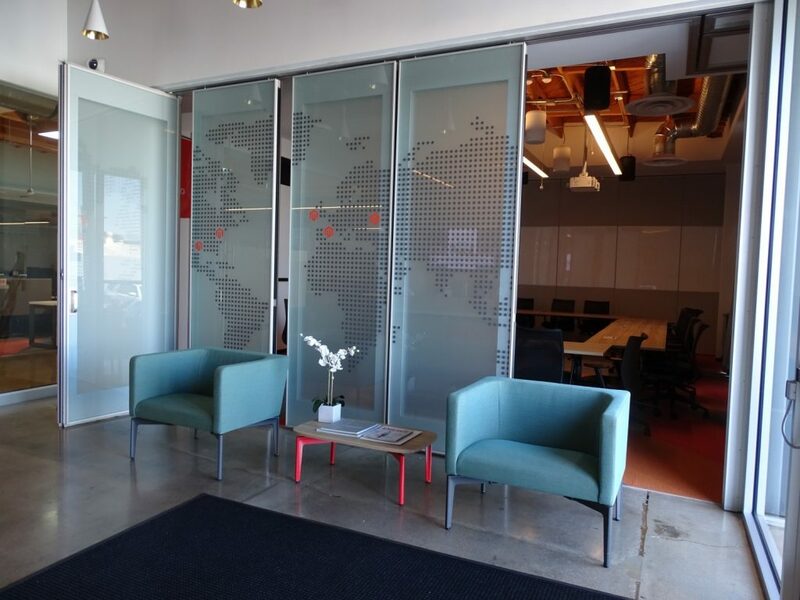 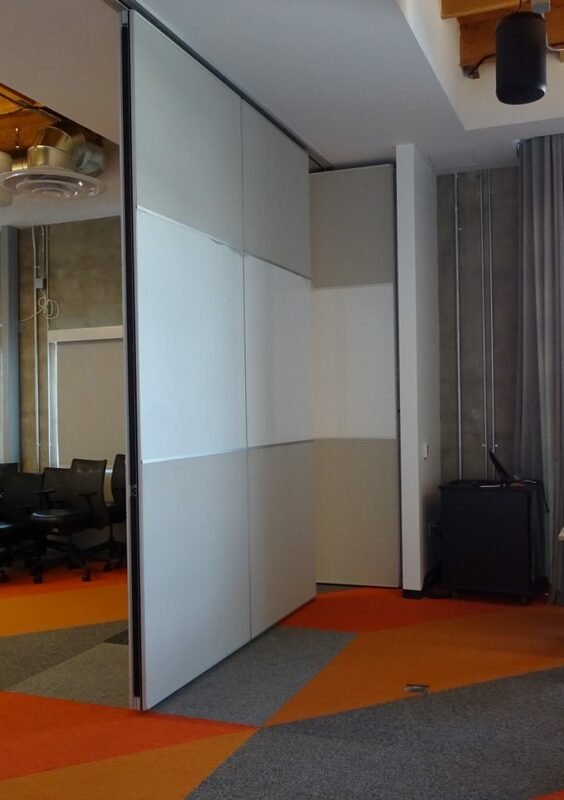 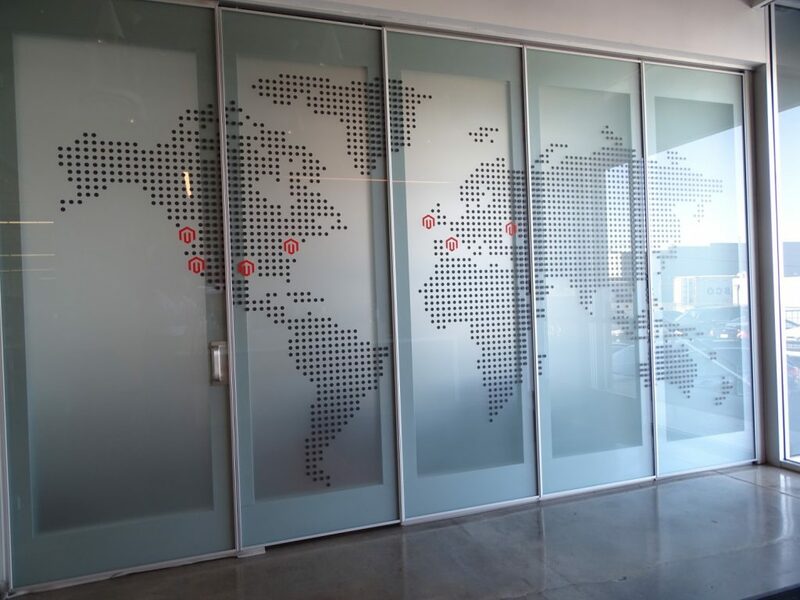 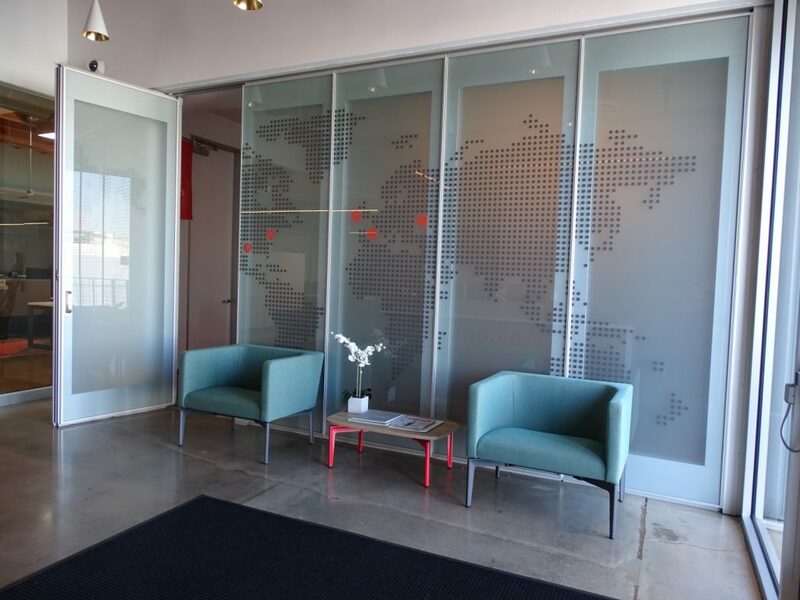 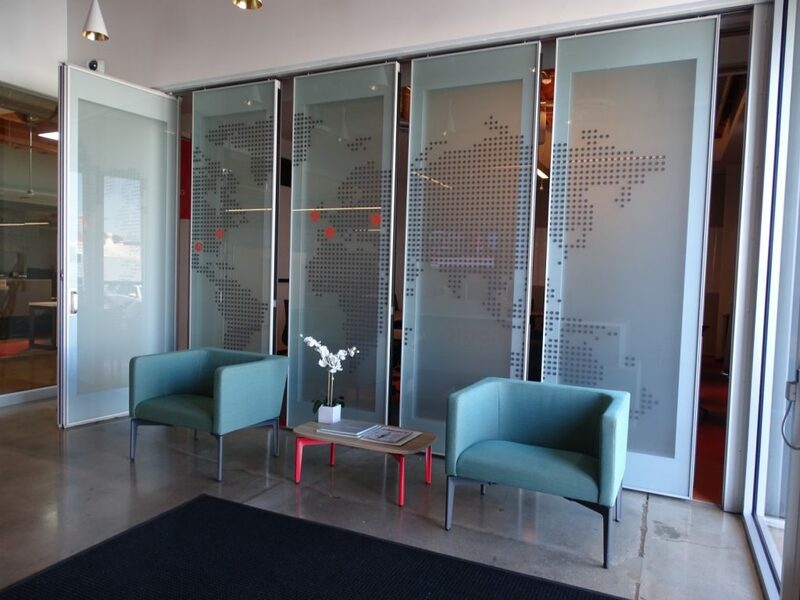 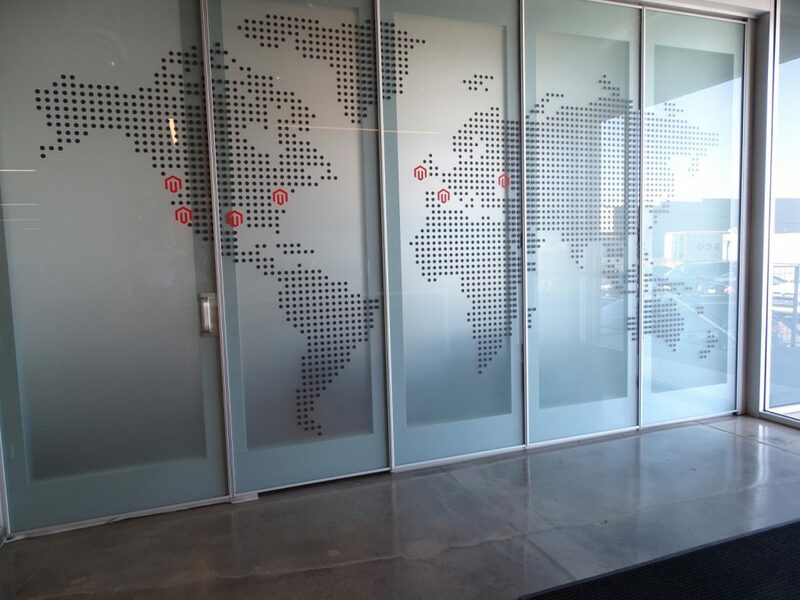 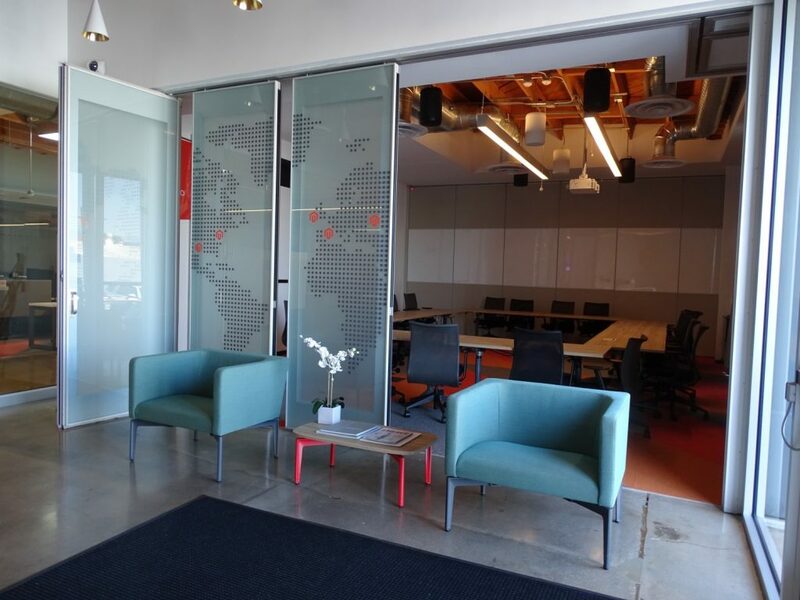 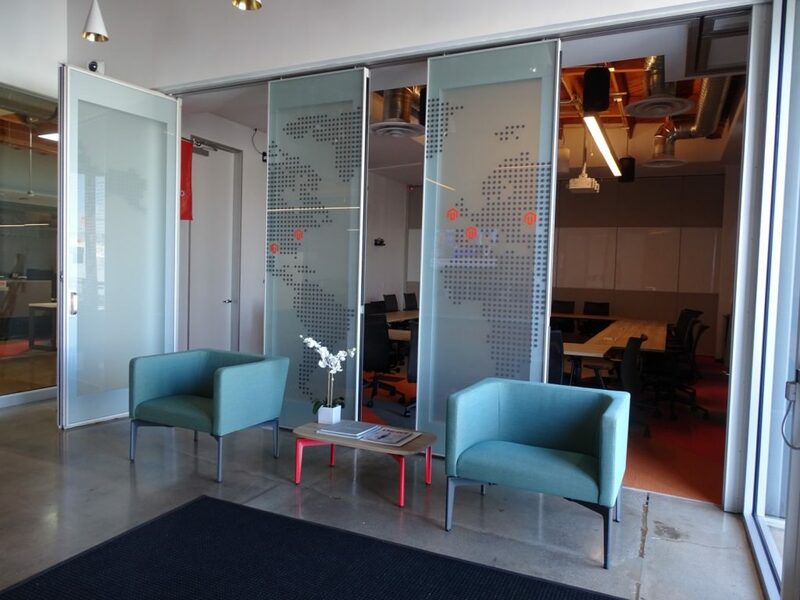 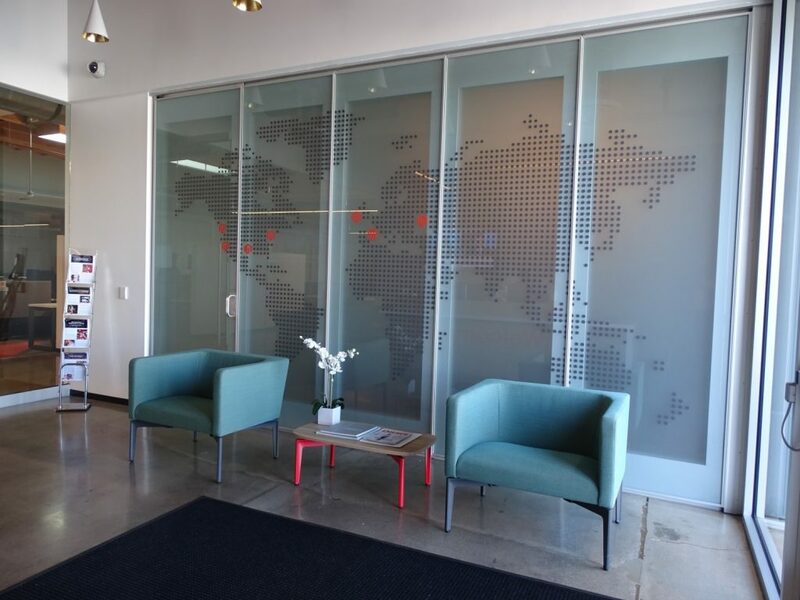 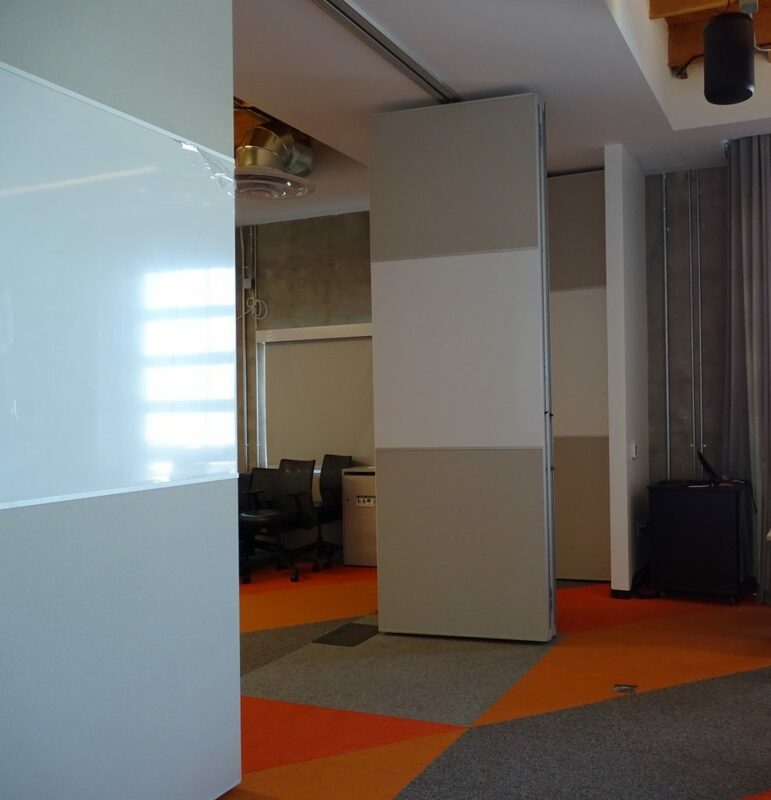 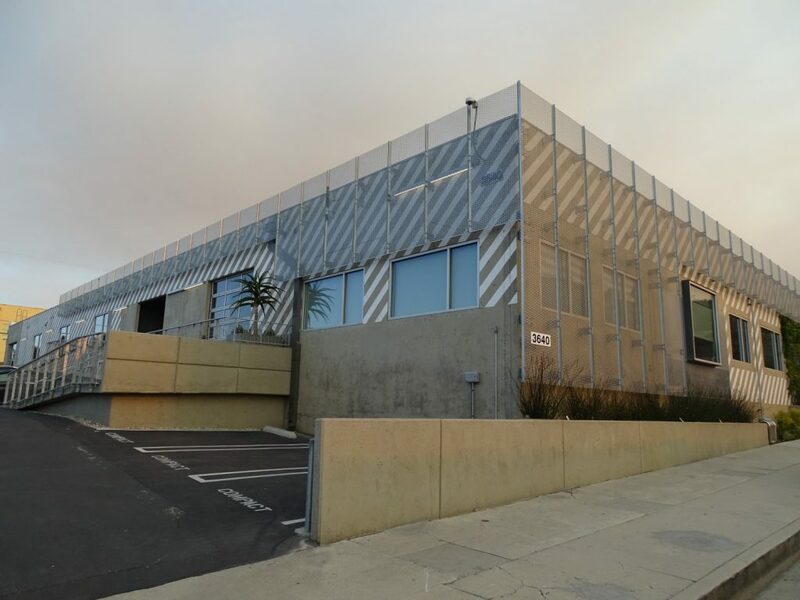 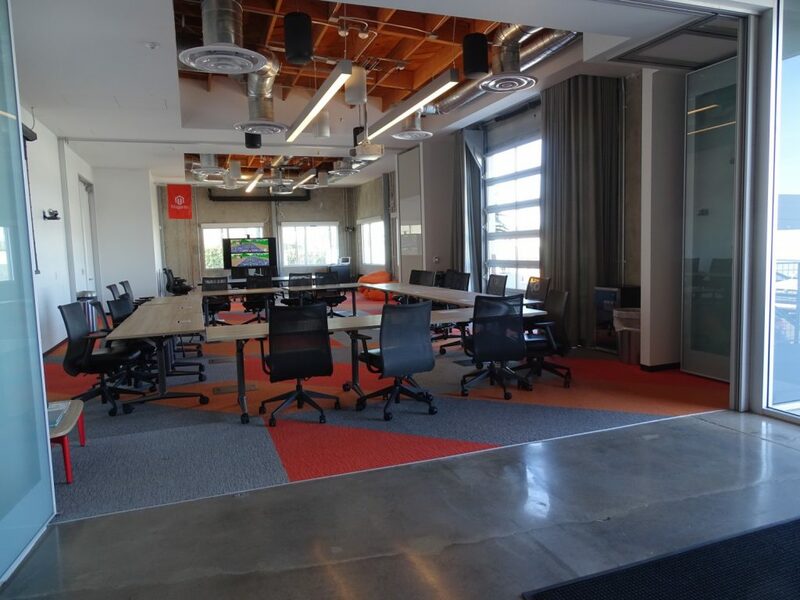 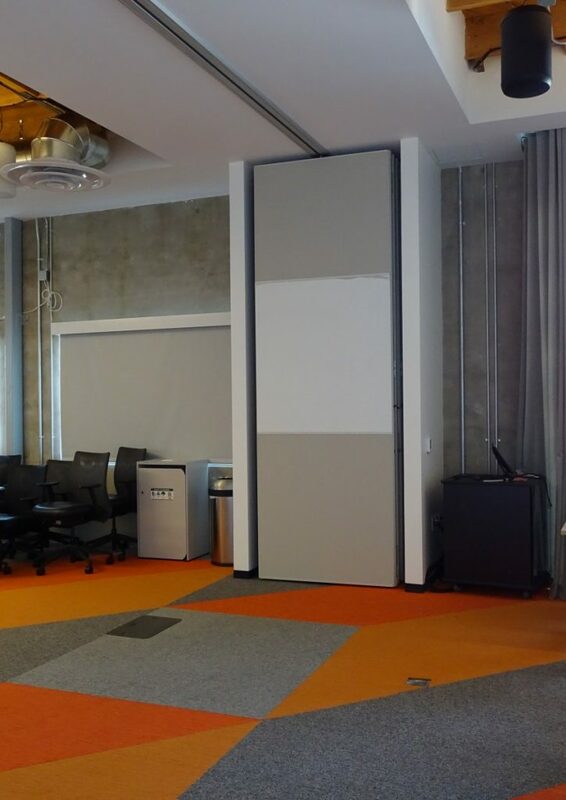 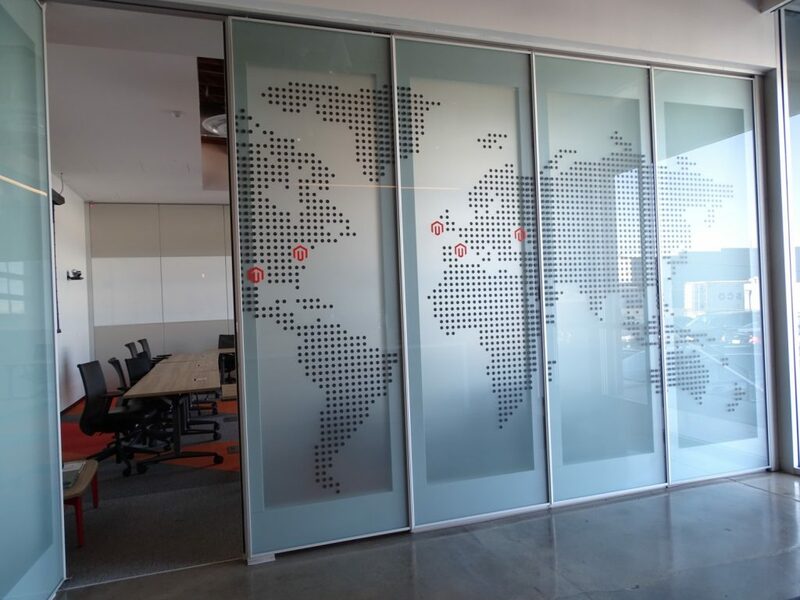 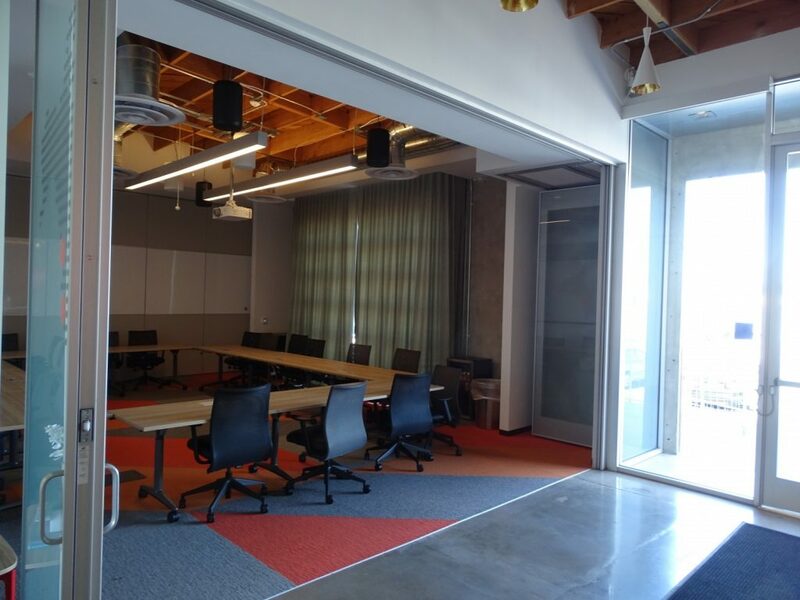 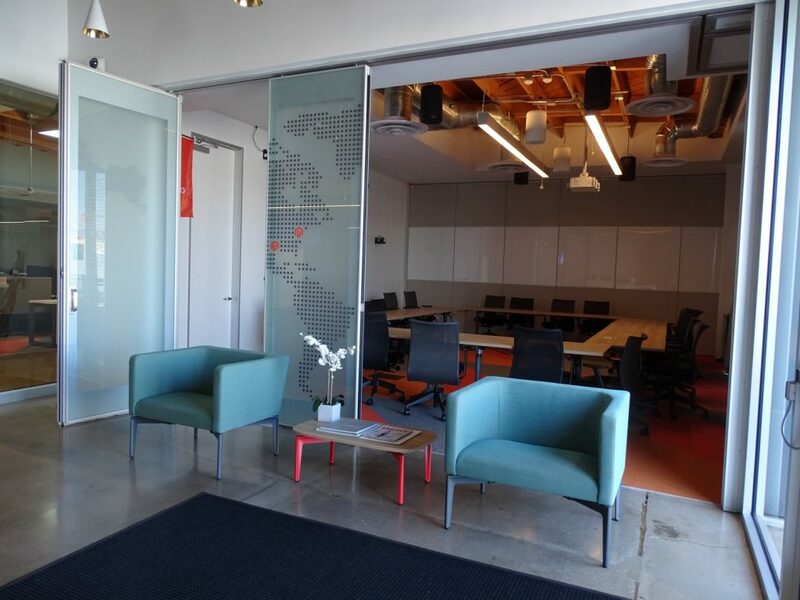 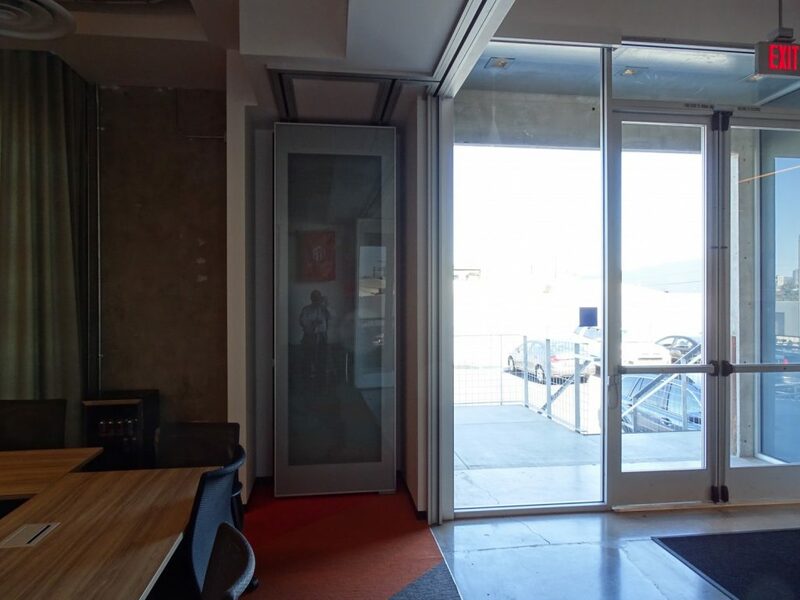 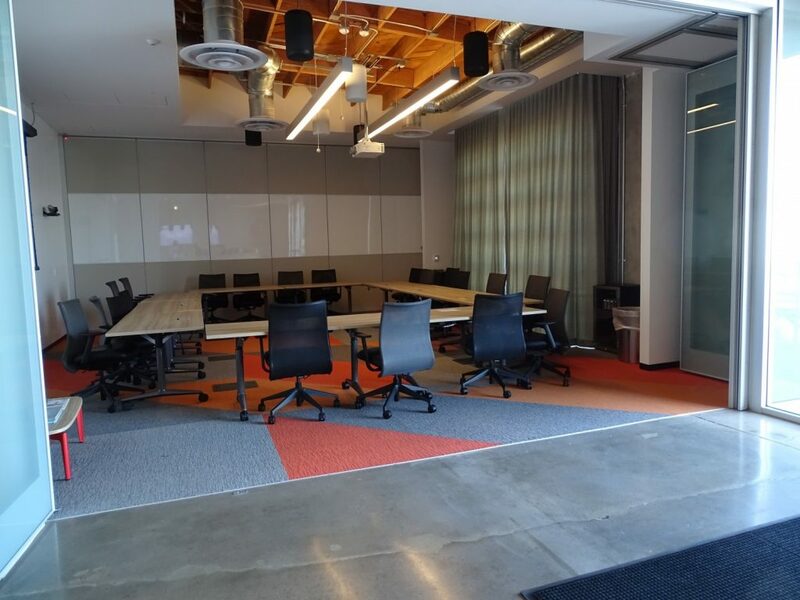 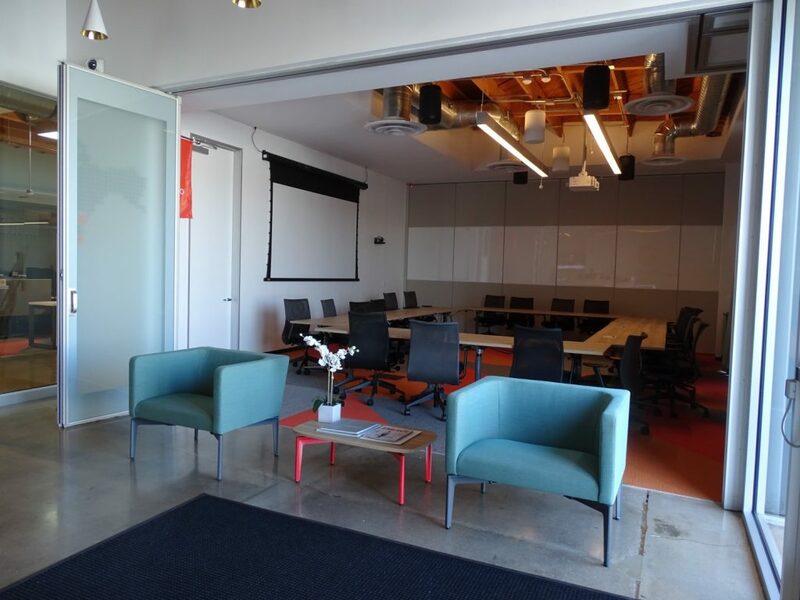 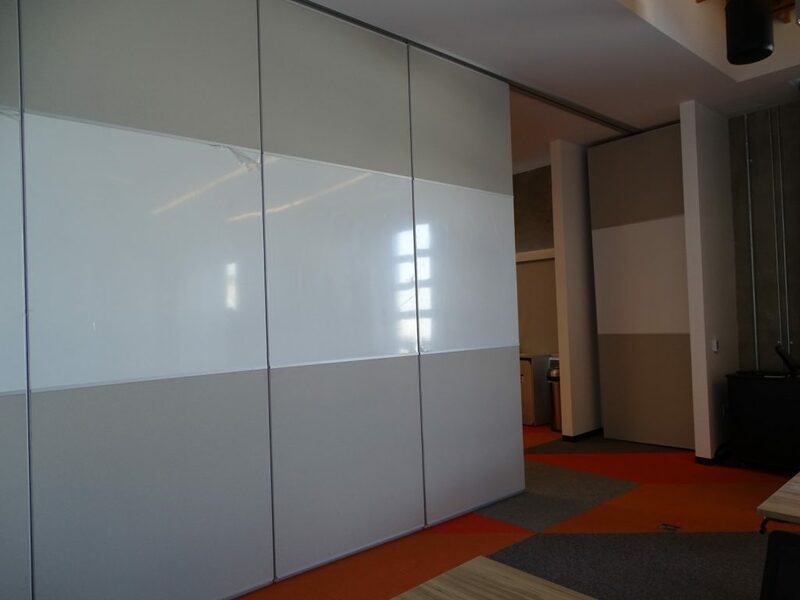 This project for Magento in Culver City utilized both the Moderco Crystal 241 with 44 STC acoustic glass and the Signature 842 Operable Partitions. 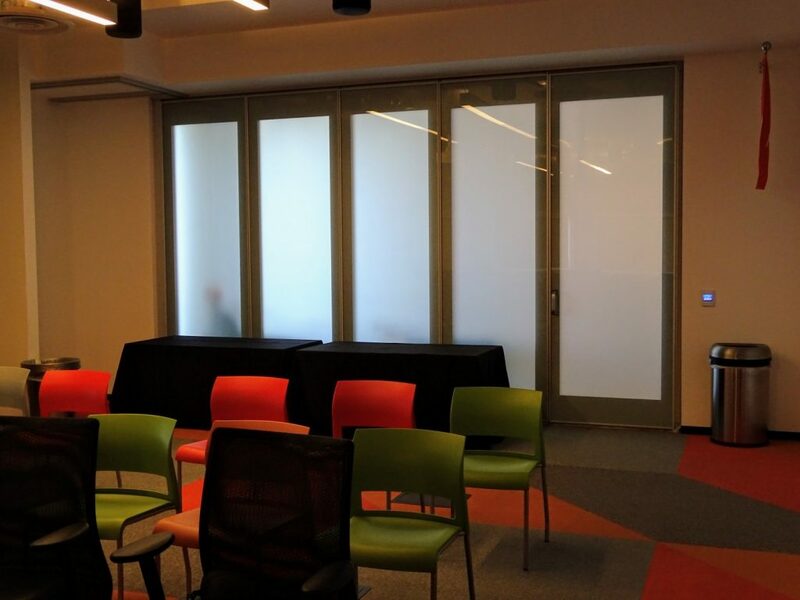 The results were beautiful glazed glass panels at the entry and operable partitions with markerboards for an additional room when needed. 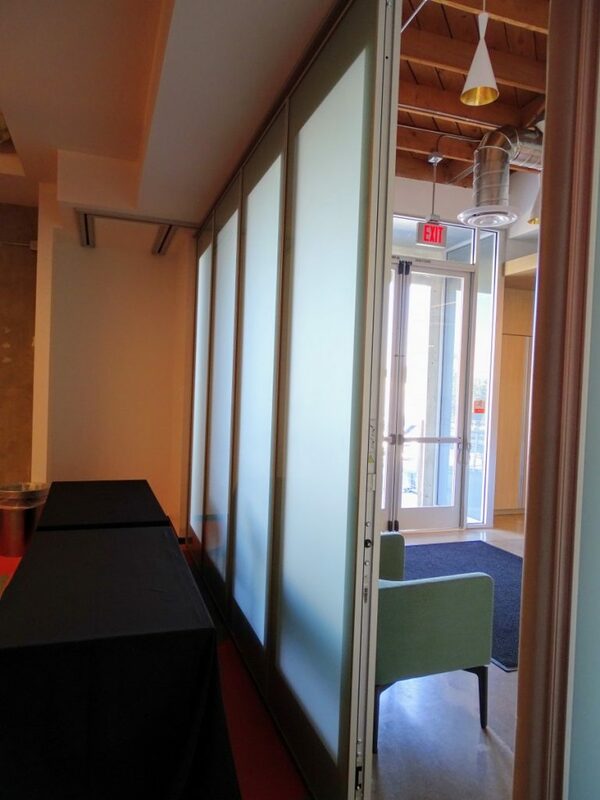 The lobby features beautifully glazed glass partitions which pocket away to open up the area. 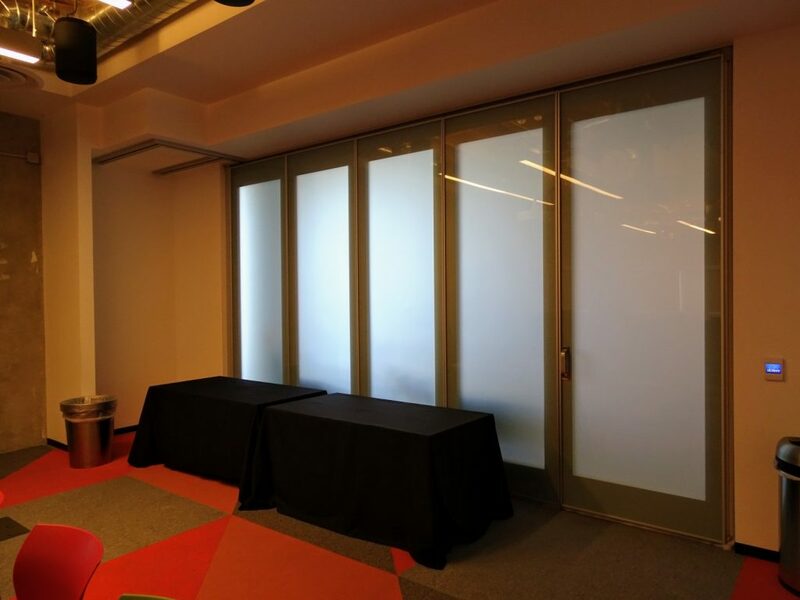 The back room is a great break room with ping pong table and video games that don’t interrupt training with privacy provided by the paired panel operable partitions. 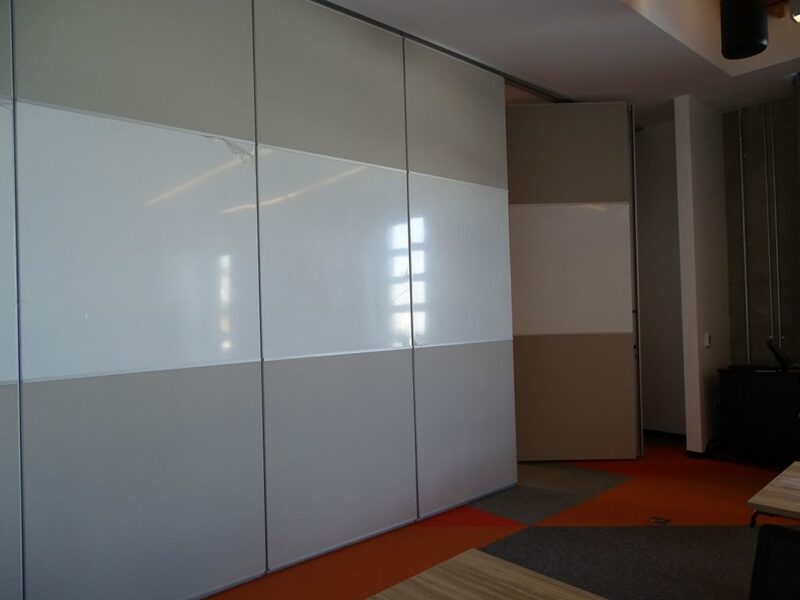 This project was wonderfully designed by Wolcott Architecture | Interiors and our GC was HBC.